The compound responsible for the pleasurable aspects of smoking tobacco (and for its addictive properties) is nicotine, a "secondary metabolite" produced by the tobacco plant Nicotiana tabacum as a defence against herbivores. Smoking tobacco destroys most of the molecules present in it, including nicotine, but the small amount of nicotine that survives (around 10%) is carried from the lungs, via the blood, to the brain within less than ten seconds. Once in the brain, it stimulates the release of neurotransmitters, including the "pleasure molecule" dopamine. The link between taking a "drag" on the cigarette and the brain's "pleasure" response explains why smoking can be so addictive, as it associates pleasure with the act of smoking. Most of the dangers of smoking do not come directly from nicotine. Cigarette smoke contains around 4,000 different compounds and the most dangerous molecules are carcinogens such as benzo[a]pyrene and nitrosamines such as N'-nitrosonornicotine (NNN), which is derived from nicotine. Tobacco "tar", which is carried in the smoke to the mouth and lungs, is rich in these toxic substances. According to the World Health Organisation (WHO), smoking-related disease causes around six million deaths a year (about 600,000 of these from "passive smoking"). Around 100,000 of these deaths occur in the UK and half a million in the US. Nicotine does not cause these deaths directly, but addiction to nicotine does. Within the past decade or so, e-cigarettes have been marketed as a way to enjoy smoking with fewer of the health risks of traditional cigarettes – for one thing, as e-cigarettes don't burn tobacco, they should eliminate the risks associated with tar. They contain a battery, a metal heating element and a reservoir of liquid, which is converted to a vapour by the heating element and is inhaled by the smoker. The liquid is made up of a solvent, either glycerol or propylene glycol, nicotine, and often food-grade flavourings. So what's the problem with e-cigarettes, if they do not produce carcinogenic tar? Well, nicotine or other molecules found in e-cigarettes can still affect lung health. A significant number of the flavour chemicals used in many liquids are aldehydes, and these are often irritants of the mucosal tissue in the respiratory tract when inhaled. You've probably met acrolein (propenal) – it's the chemical formed when cooking oil is heated until it begins to smoke. It is toxic and can severely irritate eyes and nasal passages. Ethanal (acetaldehyde) and methanal (formaldehyde) are also toxic – methanal, in particular, is a well-known carcinogen. E-cigarettes are freely available in the UK, and US, but are banned or restricted in some countries, including Norway, Brazil, Singapore and Australia. 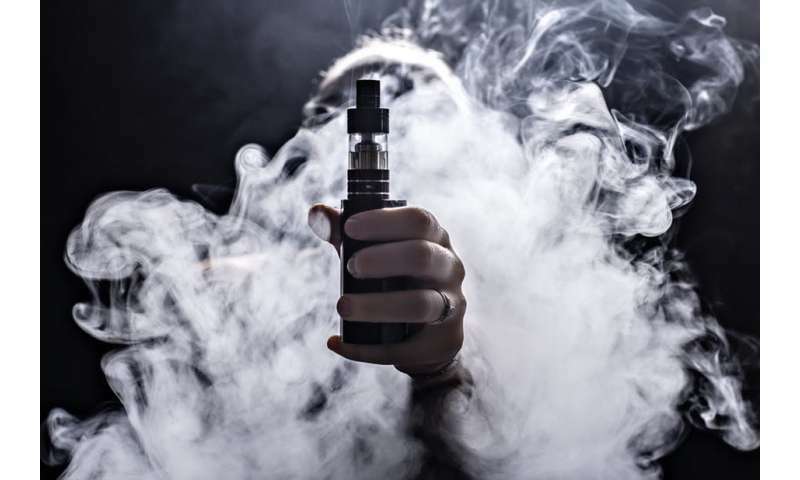 A letter published in the British Medical Journal also warned: "Further basic science and epidemiological research is needed to increase our evidence base on the benefits and harms of e-cigarette vapour. Until then patients should not be misled into thinking that the likelihood of future harm is negligible when there is insufficient evidence to advocate this."